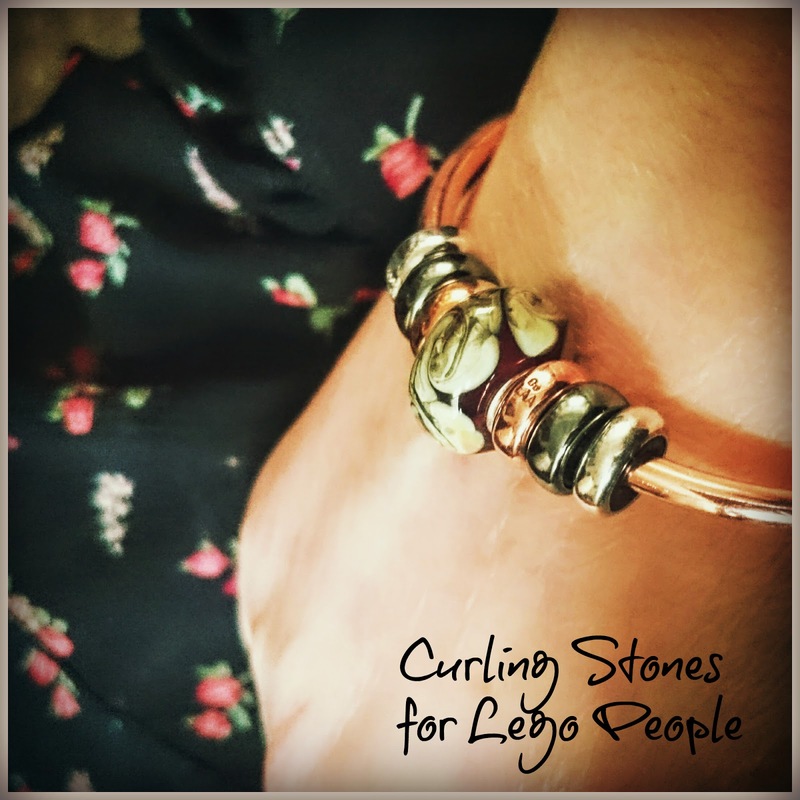 Curling Stones for Lego People: @HBHullBloggers March Meet - Good Food & Great Company! @HBHullBloggers March Meet - Good Food & Great Company! 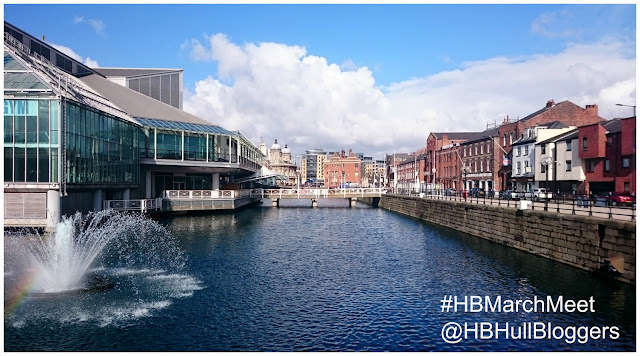 Saturday was marked in my calendar as #HBMarchMeet to remind me of the hashtag for the event - a lunch with some of the lovely Hull Bloggers and a catch up on all things bloggy! Obviously my first and most important decision as a Jewellery Blogger... what to wear on my wrist? My choice? My Trollbeads Copper Bangle, with copper, oxidised silver and silver stoppers with a bead of my own to compliment my dress. For those of you following my budget dilemmas... the oxidised stoppers were part of my February spends in January! Trollbeads Copper Bangle, stoppers x6 & my own bead. The weather was sunny one minute and raining the next and I dithered about how to get into town... in the end I caught the bus and walked through the city centre which meant I caught this awesome fountain rainbow on the way! Al Porto is situated next to Hull Marina, a place I've always loved to visit in Hull and I took the chance to snap a few quick shots on my way, not many as I was due to arrive just in time for our 1pm start so I couldn't dither for too long. On arrival I was greeted by our hosts for the day and shown to my seat. They had set us out two tables in the bar and rooms that are beyond the restaurant - it all looked very cosy. Time to shed our coats (and umbrellas), have a catch up with old friends and introduce ourselves to new friends before lunch was served. Place settings had been well thought out and we'd all been mixed up so that we all had an opportunity to talk to people we'd not met before, this was a great idea as it meant we all got chance to at least talk to half the group in more depth over lunch. Blogger lunch tables, drinks, cameras and gadgets! The food was really good, it was their regular Lunchtime Menu, a main course and a drink for £8, I chose the Winter Salad and a glass of wine, both of which were delicious. I would definitely go back again - I have my eye on the Frittata next which looked especially amazing! My Winter Salad at Al Porto Hull, Chicken and Chorizo - yum! 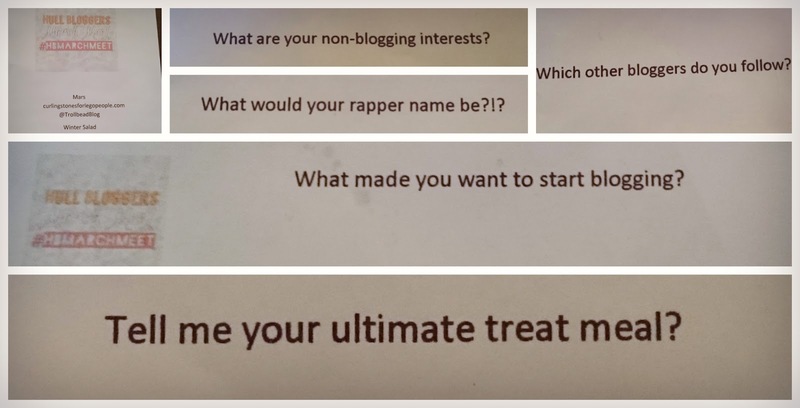 We also had some fun "questions" to ask each other after the food and it was good to get to know more about the other bloggers who were there. 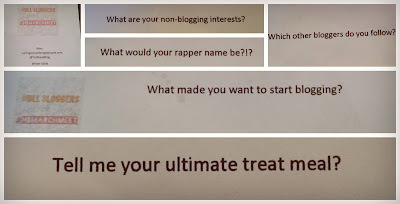 Selection of Questions... the last one had me stumped, I have so many!! It's surprising how quickly the time went, before I knew it, it was time to head for home with our goody bags and let the testing commence! A sample of the brands involved - really amazed at the quality so far! I was so pleased to catch up with my old blogging friends, pleased to meet new blogging friends and the whole afternoon was an utter delight. At these events it's always the people element that make the day for me, the format and the food on Saturday were really conducive to spending some quality time with people. I've always thought all the Hull Bloggers run really quality events, and that's what keeps me coming back; that and the people, although good food & quality brands involved make it all the sweeter! From the pictures of the goody bag, what would you most like to try and why? 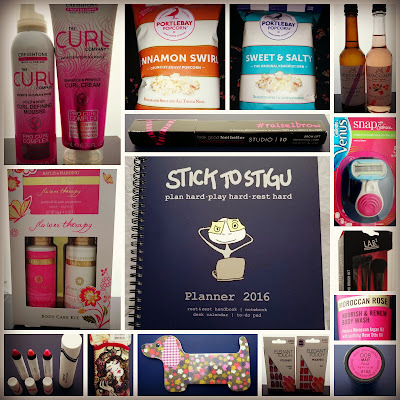 goody bag items are supplied by the brands as samples for review. Sticking to my Budget?! 16 days to go!! Treasured Tools for Beadmaking - Cup with a Hat!